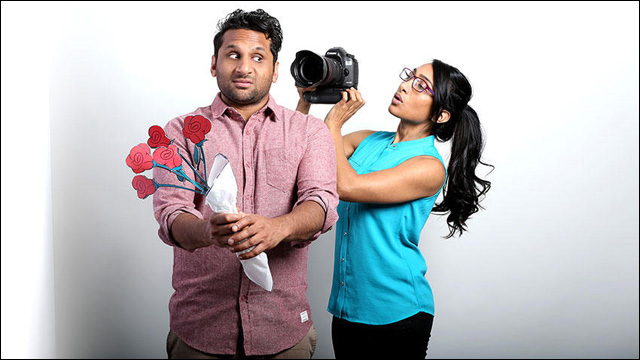 Meet The Patels and its filmmakers were discovered at the Los Angeles Film Festival where the film -- which is part live action docu, with some animation -- won the Audience Award for its My Big Fat Greek Wedding-like storyline. Ravi Patel, a first generation Indian-American, turned 30 without finding a wife. He is relentlessly pressure by his parents to let them handle it — 35 years earlier they spent 10 minutes together before they were betrothed in an arranged marriage. The son, who never told his parents about the woman he just broke up with because she wasn’t Indian, finally surrenders to their wishes. The docu is about the attempt to navigate a time-tested tradition in a modern world. His sister filmed it all and what started out as a home movie turned into something special. Ravi Patel is an actor whose long list of credits include Transformers, Scrubs and The New Normal. He can currently be seen as a regular on the Fox comedy Grandfathered and in Aziz Ansari's upcoming Netflix series Master of None. Geeta Patel was most recently a second unit director on the Wachowskis' drama Sense8. My only question: who will play Ravi's parents? Everybody knows that Champa and Vasant are the real stars of Meet the Patels. Please tell me that they'll just play themselves, like Aziz Ansari's parents in Master of None.